Chapter Two is a deep tale set underground. Some of the current art from the pages that I've scanned and begun cleaning up. 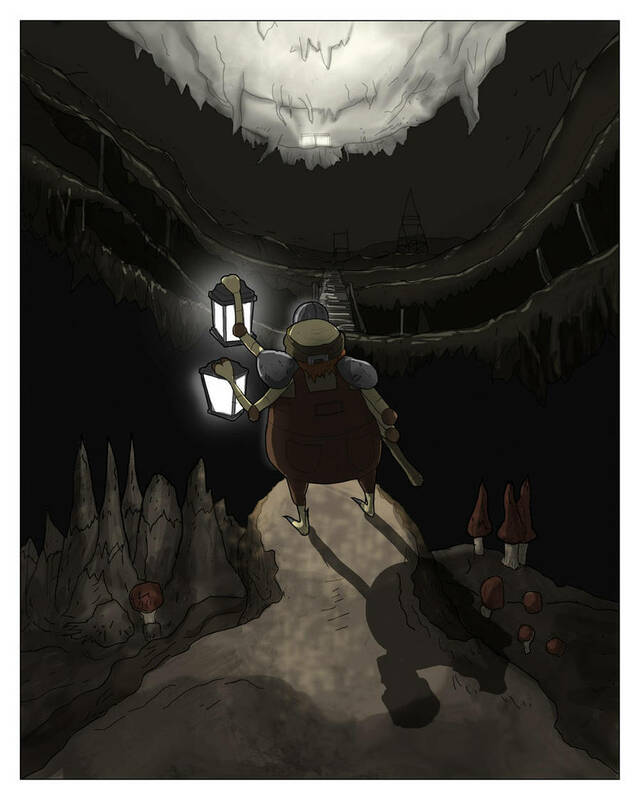 While the line art part is flying - the color and lighting for an underground setting is challenging to make. Chapter Two skips from the tower and Grand Roach's trial to an underground subterranean area. Check out the early line and tone artwork right here.